For at least a decade, Amish novels have been the hot genre. I read the Amish fiction of Beverly Lewis, one of the mothers of the genre, and loved the whole series. Soon others joined that effort, which became a trend. Authors who knew nothing of the Amish life were begged by their agents to “write Amish” because those books were selling. Fortunately, they left that genre to others with understanding of the plain life. My dear friend, Leanna Ellis, wrote an Amish vampire book on a dare. It sold, and she wrote a series which sold. Anything Amish was golden. Starting about two years ago, inspirational authors discovered their World War II novels had a market. Sara Sundin, Cara Putman, and others led out with excellent novels. I had a WWII novel in progress following a dig into my father-in-law’s military history, including a trip to trace his path from the landing in France, battles through Germany, into Holland up to the Russian lines. My novel, completely fictional and in no way reflecting Dad Carver, took a different approach: the protagonist was a young man in Germany with American dual citizenship. His mother was a Christian, a convert from an American Jewish family. His father was a German aristocrat who had maintained the family in Munich even after the US joined in the war. Is that conflict enough to sustain a plot? Convincing publishers to invest in a book based largely on foreign soil was an enormous challenge, but the book is selling well. Readers insist that I must write more. Take a supporting character, like Karl’s sister, and develop a new plot. Write a series. They want more. Surprised by the book’s popularity, I find myself waffling. A contemporary romance would be so much easier to write. Little research, little suffering through hard years of recent history. I do have one advantage over many of the WWII writers of today: I was born in 1945, the year the war ended. Newspapers were still full of post-war events as I learned to read. The soldiers rarely spoke of their experiences, but printed stories circulated during my childhood, including discoveries of the Jewish Holocaust. Authors of my age are amused to find that our memories have been assigned to history. The roar of two German Army trucks startled Karl from his thoughts. They pulled in front of the store, bracing the line right and left. Soldiers waved their Mauser 98 rifles and dismounted from the cabs and canvas-covered backs before the tires stopped rolling. There goes the food. He stepped out of line, the urgency to get away spiking his heart rate. These guys were dangerous. A soldier with several stripes on his uniform grabbed Karl’s shoulder and shoved him toward the back of one of the trucks. Karl handed over his ID paper. The fellow glanced once, then he slammed it on the clipboard of the other soldier. That man copied the details then pushed Karl against the truck. Stumbling, he braced against the high floor and found men staring out from benches along the inside walls. The reality of forced conscription stabbed his lungs. They would take him away without a word to his family and send him off to die in a war against his mother’s people and his father’s politics. The kick half-missed its target as Karl turned to explain, to beg, whatever necessary to return home with or without food. His rear end throbbed with pain. An arm jerked him upward off the street, yanking his shoulder joint hard. Dangling, he scrambled for a foothold, scraping his shins on a metal edge, until he fell into the truck on his stomach at the boots of another soldier. His rifle barrel motioned for Karl to sit with the others. Its bore, aimed at his head, killed any idea of escape. An older man, fifty or sixty years old, climbed up at gunpoint. “That’s all. Let’s go.” The guys with the uniform stripes swung into the truck as it lurched. Shadowed occupants around Karl had to be too young, too old, or too sickly to fight, while his own prime condition made him a sure target. But nabbing him off the street was wrong, just plain wrong. The older man stared out the back with haunted eyes, his mouth open as if in a silent scream. He slapped a hand over his heart, showing a thin wedding band. A family man. With him gone, they might not have food either. A boy too young to shave sobbed, tears and slobber running down his face. Karl held back the sting in his own eyes, blinking hard. Biography: Lee Carver is once again failing at retirement. After being born, educated, and married in the United States, she established homes and reared their children in Greece, Saudi Arabia, Argentina, Indonesia, Brazil, Spain, and again in Brazil. Her husband Darrel, once a US Navy pilot and then a VP in Citibank’s International Division, took early retirement to be a missionary pilot over the Brazilian Amazon. They now live in a suburb of Fort Worth, Texas, where they continue to be involved in missionary aviation. Lee is generously offering PAPERBACK copy of A Secret Life. Must be a U.S. resident to enter. Please use the Rafflecopter below. This was a fun post! I don't have any memories of WWII (duh), and I don't think any of my family do either. My friend's grandma fled Poland (or something like that) during WWII. And I know that Robert Clary, Lebeau from Hogan's Heroes, survived a concentration camp. I'm glad that WWII books are big. Amish fiction has never really grabbed me; they all seem to have the same plot. WWII fiction seems to have A LOT more variety though. Right now I'm reading the Thoene Zion Covenant series. It's amazing!!! Thanks for doing this review and hosting a giveaway. WWII fiction should be interesting -- a fascinating and scary time for the world, leaving lots of possible plot lines. Hi, Ashley! I've recently heard great things about the Thoene WWII series! Isn't it about spies? I'll have to check them out. My grandma would've been a small child during WWII, but I've never heard her talk about her memories of that time. I'll have to ask her. Hi, Jeremy! Welcome to the Sweet South Blog! Yes, the possibilities for plotting seems endless! So many different countries and cultures involved and available to use as a setting, too. Really enjoyed the post. I have read The Secret Life and I really enjoyed it. Lee, you give me hope, since books one and two of my WWII series are ready to go, and I'm hard at work on the third. 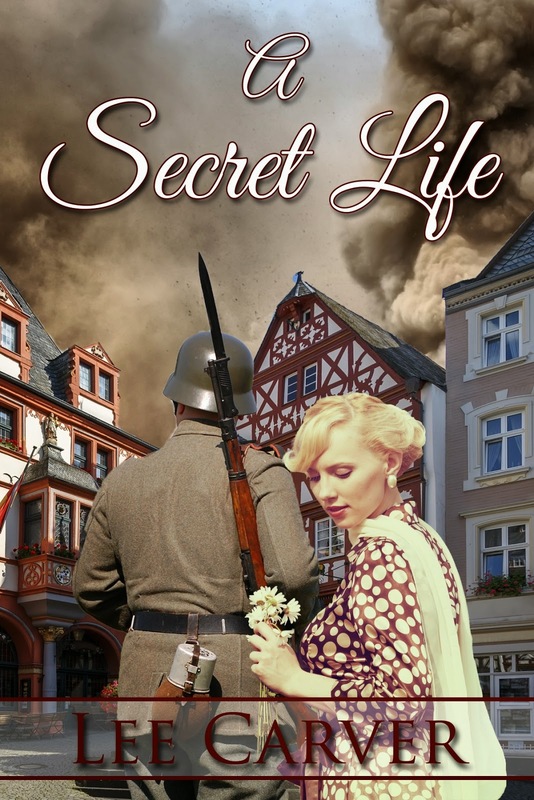 I'd love to read A Secret Life - love the title, simple and succinct and multi-level. Way to go!! And thanks for your encouragement. World War 2 fiction has been popular for a lot longer than Amish fiction and will likely continue to be! For the history lovers, there is never enough! My debut novel (to be published next winter) is WWII and was inspired by family history on the German side. I knew very little about these distant cousins and had fun creating a story for them. Hi, Ann! Thanks for coming by the Sweet South Blog! Hi, Gail! Welcome to the Sweet South Blog! It's so exciting to see this genre taking off so well! Best wishes in the giveaway! Hi, Martha A.! Your grandparents sound like amazing people. Sounds like you may have a story there, too. :) Thanks for coming by the Sweet South Blog, and best wishes in the giveaway! My Dad was in the Army during World War II. He was sent to Japan right after the bombing and told many stories about the destruction that took place. I love World War II stories. Hi, rubynreba! Great story, thanks for sharing! Best wishes in the giveaway! I was born in 1951. In college I had friends who were born in the 1940s. (I even married one!) So weird. That was the decade of WW2! When we went to Germany as tourists after high school, our kind bus driver was a former prisoner of war in Arizona. Suddenly, every time I saw a WW2 movie that blew up those "nasty Germans", I saw his smiling face and knew it wasn't quite so simple. Wow. What a true statement. A perfect example of how war is never as black and white as we see it from a distance. Thank you for sharing with us! Hi, Maxie! Wow, sounds lots of memories there. Thanks for sharing with us, and thanks for entering the giveaway! Best wishes for winning the book! Thank you for this interesting post! My daddy talks about memories from that time in our history. Martha, my mother-in-law was a "Rosey the Riveter" when she met my father-in-law. We were proud of the service of both of them. LeAnne, you're so right. War is never simple. I have a German friend in her 60's who finally is getting counseling for her PTSD. Her father was SS, and a generation later she married a US Army officer stationed in Germany. Most of their married life has been in the US, and she has been seriously conflicted about her German identity.